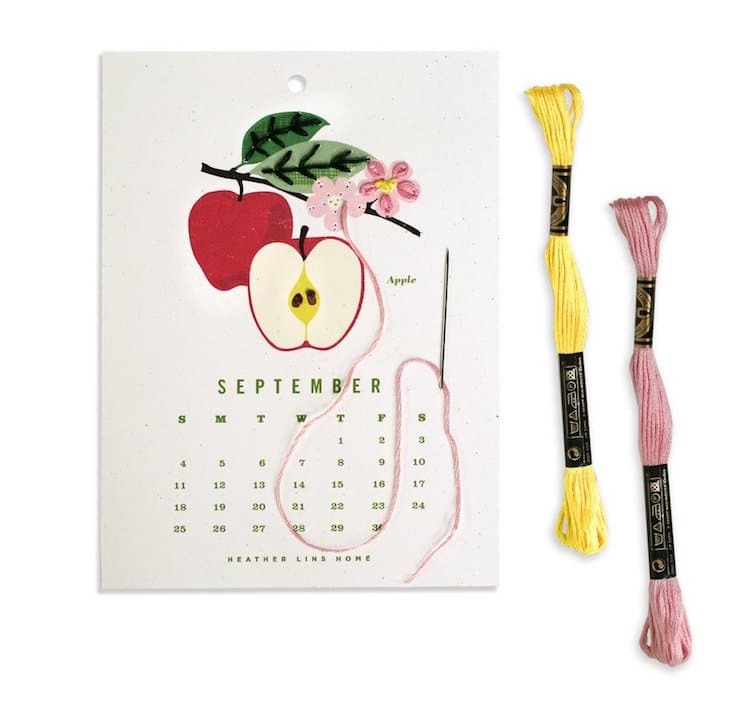 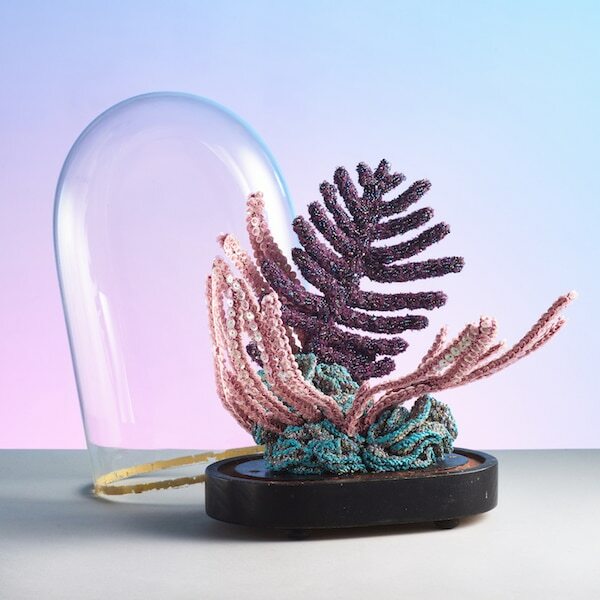 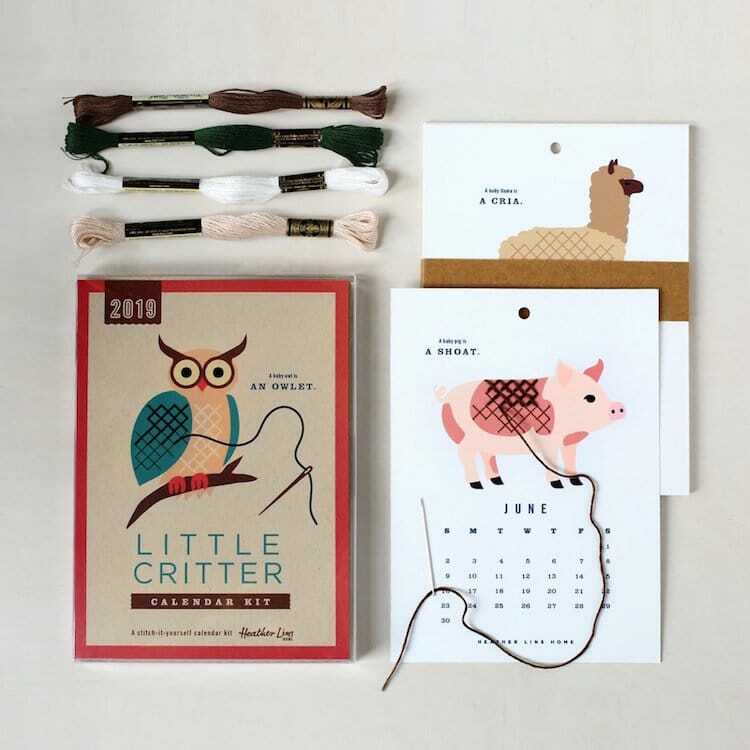 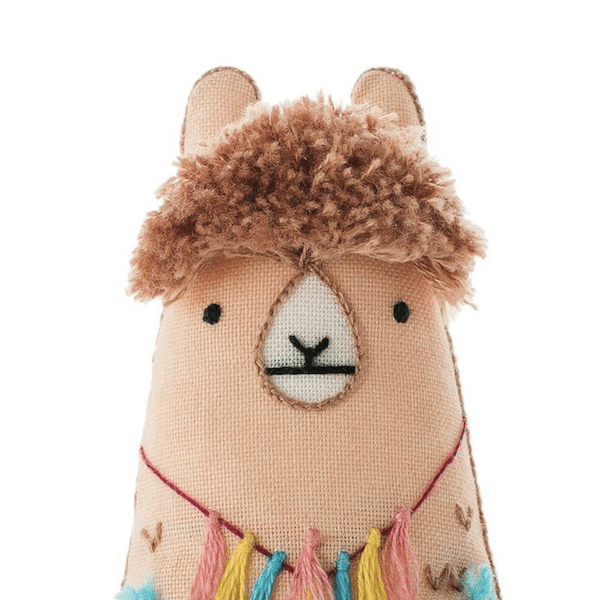 Each craft kit comes with a needle, a selection of colorful embroidery floss, and 12 illustrations to stitch throughout the year. 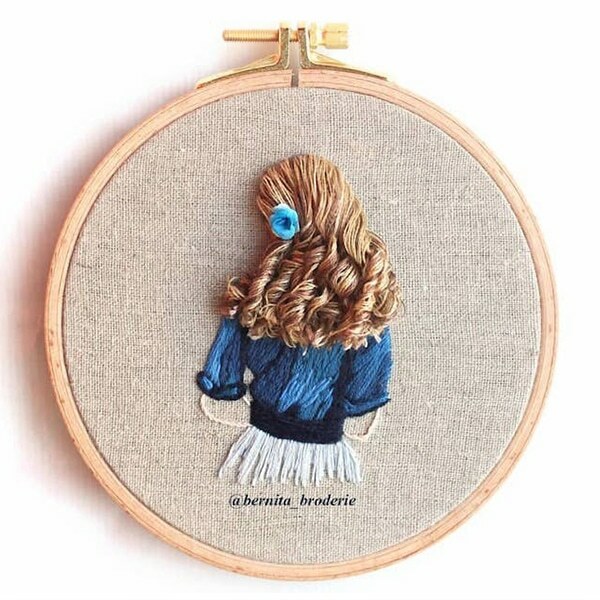 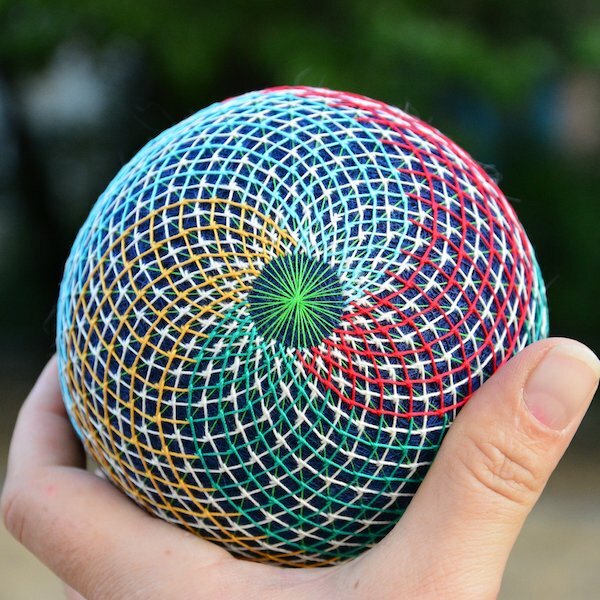 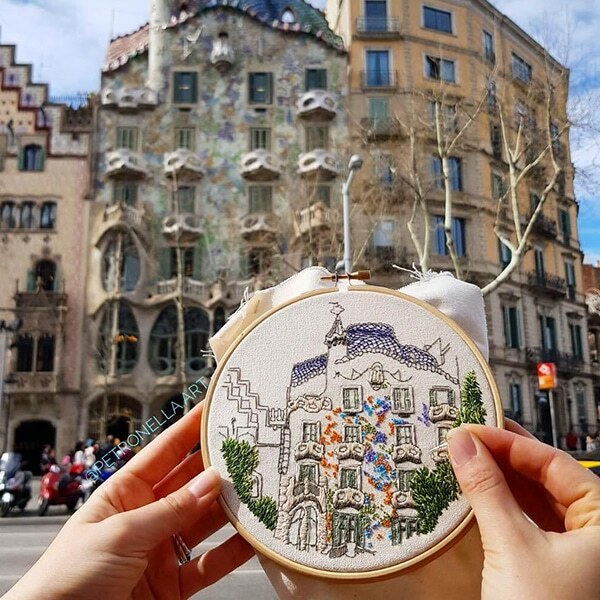 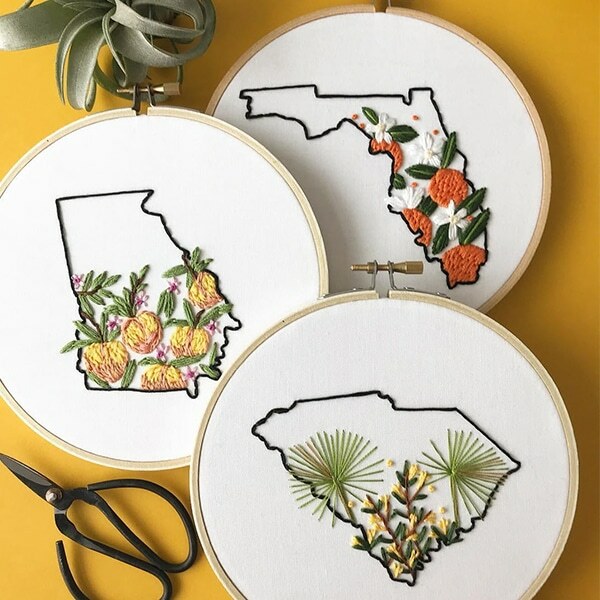 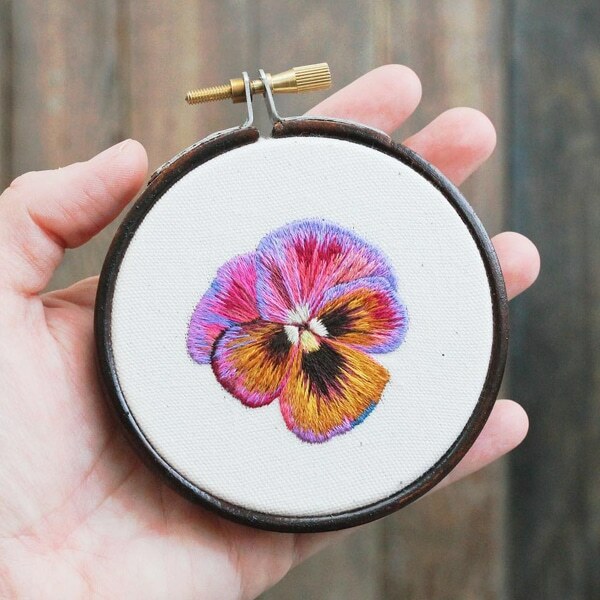 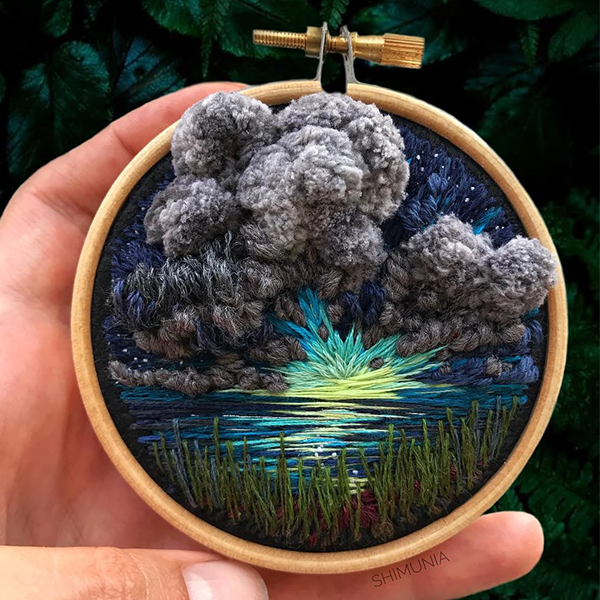 Depending on the month and design, you’ll learn up to 4 embroidery stitches with the help of provided diagrams and instructions. 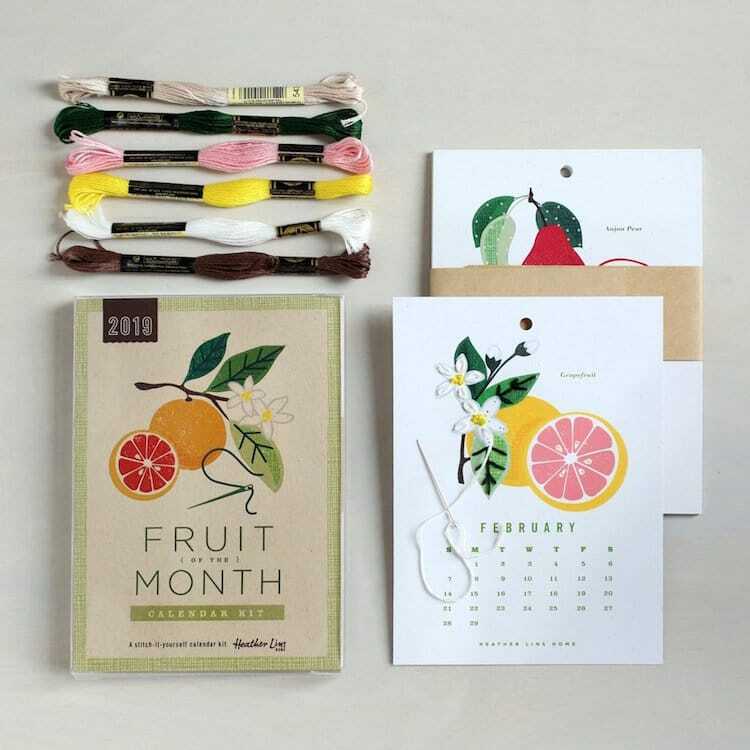 There are three themes to choose from: the colorful Fruit of the Month Calendar Kit allows you to “embroider a bounty of fruit;” the Little Critter Calendar Kit features adorable baby animal illustrations, ready to be adorned in fluffy texture using a simple cross stitch; and the Stitch the Stars kit allows you to stitch a different constellation each month using glow-in-the-dark embroidery thread. 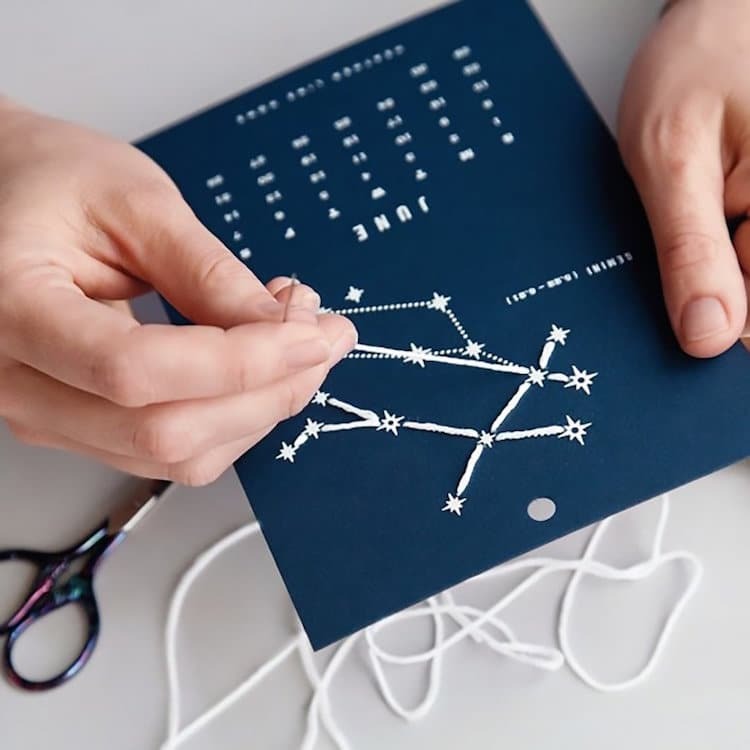 For Stitch the Stars, the textile constellations will gently glow on the wall calendar after you switch off the lights. 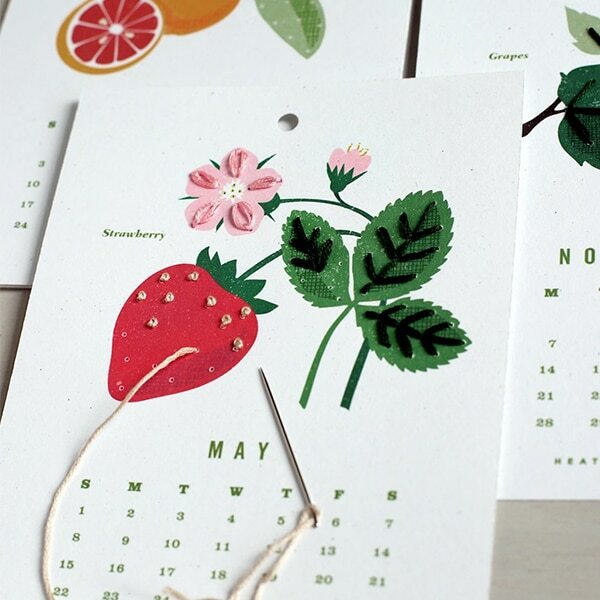 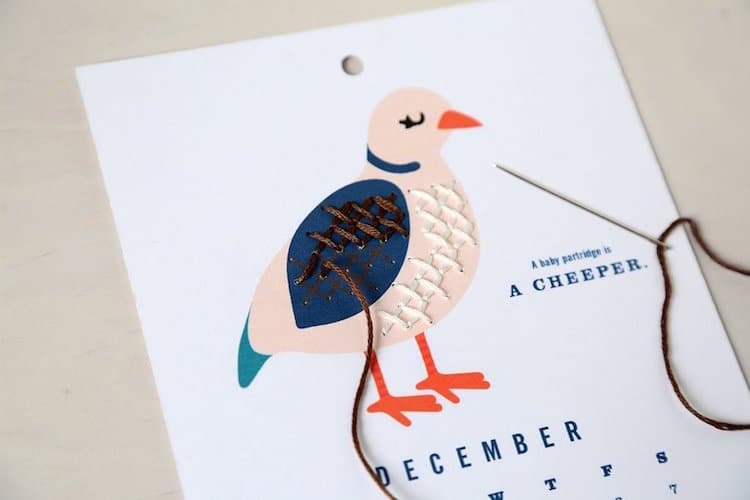 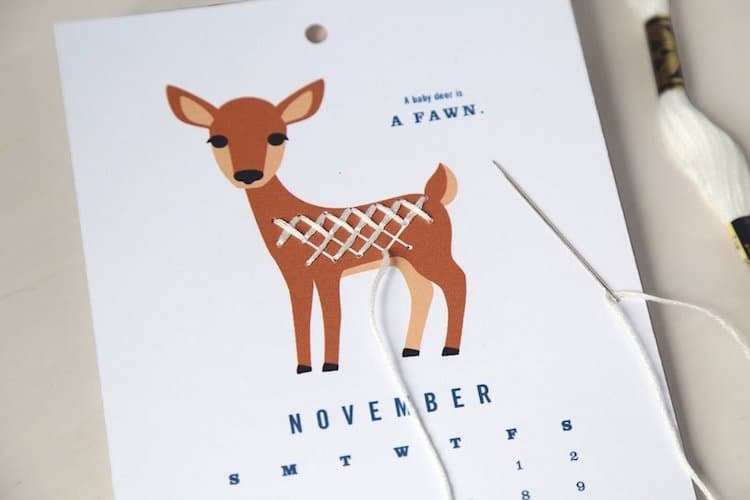 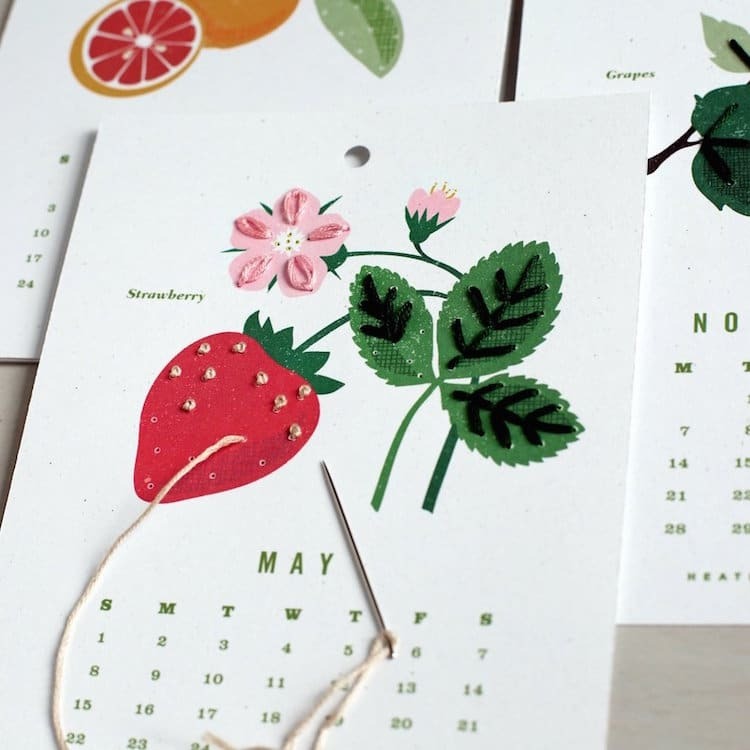 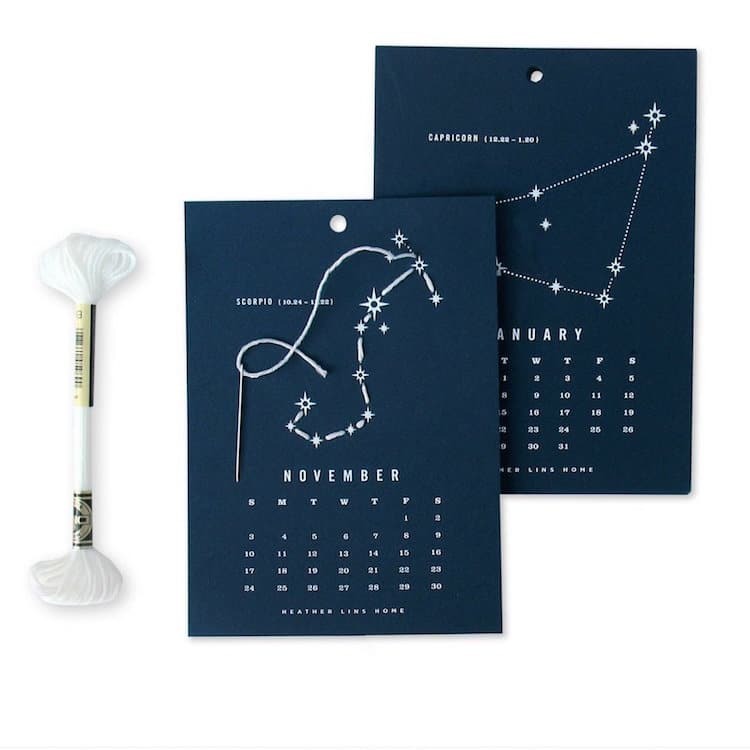 You can buy your own DIY calendar kit on Heather Lins Home’s online shop. 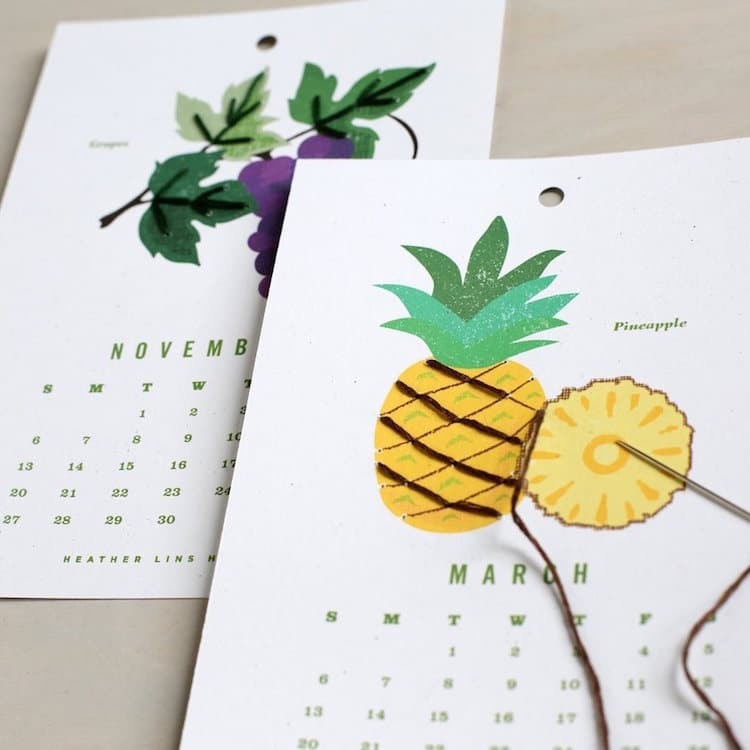 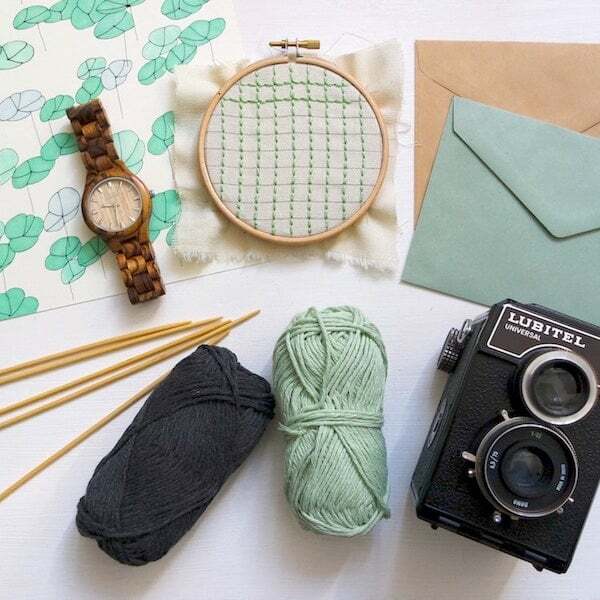 Heather Lins Home has released 2019 Calendar Kits that invite you to complete easy poke-and-stitch designs each month. 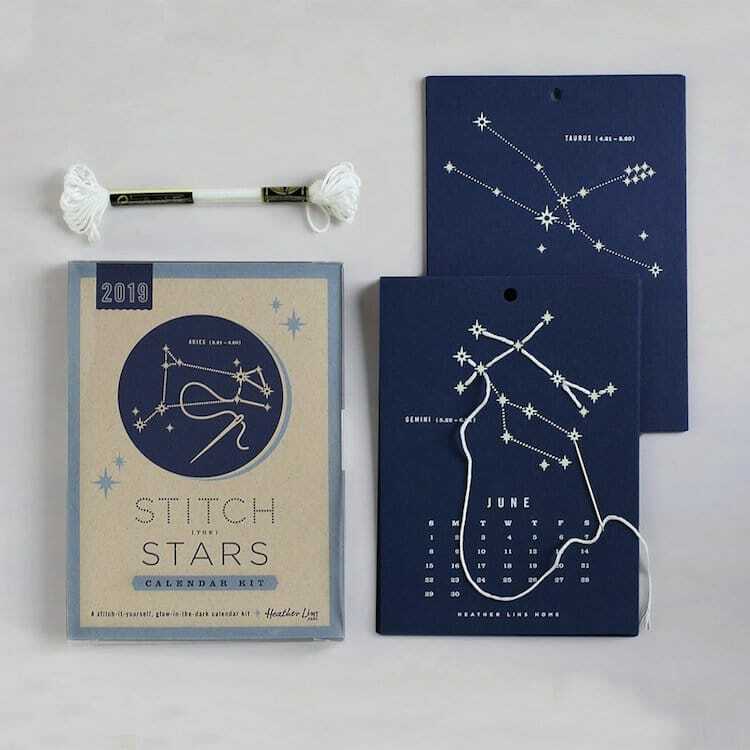 …and Stitch the Stars, complete with glow-in-the-dark thread! 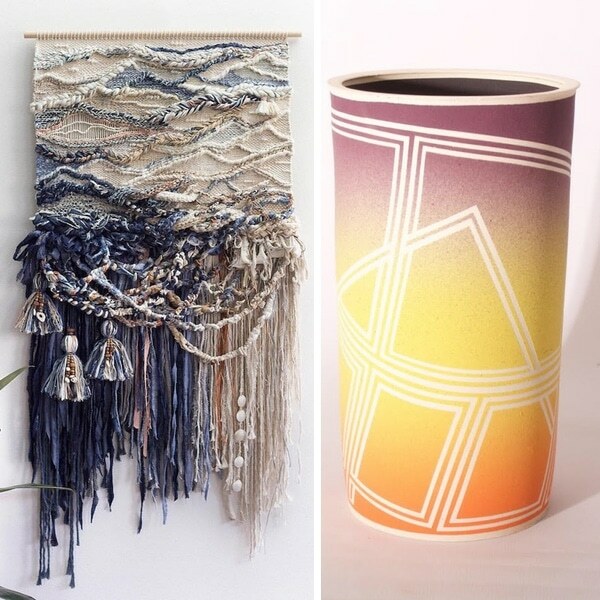 All images via Heather Lins Home.